Part of a tasting of Zinfandel wines. I believe this was a late release from the winery. 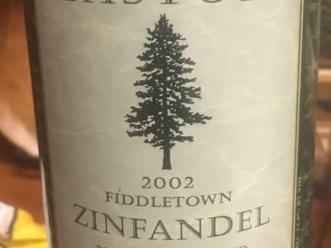 For a 17 year old Zinfandel, this was drinking quite well. Purple in color, ruby swirls. The nose has black cherries and spice. On the palate, it is more about plums. Not a big or fruity wine at this stage, but plenty of energy and drinking well. More of a claret styled Zin with a nice complexity. Very food friendly.